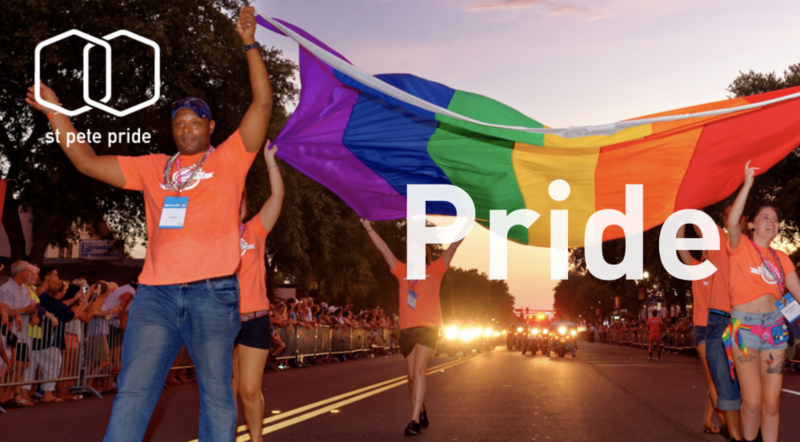 Since 2013, the St. Pete Pride Grand Marshal selection process has been a community effort with individuals asked to select the Grand Marshals of Tampa Bay’s LGBTQ Pride Celebration. Being named a Grand Marshal of the St Pete Pride Parade is among the highest honors bestowed by the Tampa Bay LGBTQ community. 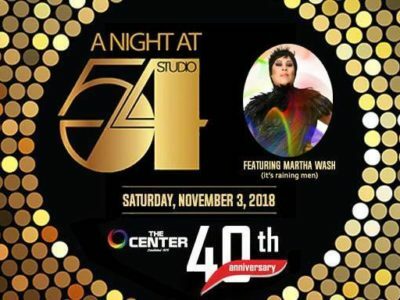 Individuals and organizations nominated for Grand Marshal have made significant achievements for LGBTQ rights and have made considerable contributions to the LGBTQ community at large. All nominations were made by community members within Tampa Bay. Ballots close on Friday, April 22, 2018 at 11:45 PM EST. A pillar of St. Petersburg, Robert Pope began his legal career in 1971 and has served clients in the Tampa Bay area for over 45 years. Mr. Pope is widely known as the founder of Metro Wellness, which started to support the AIDS crisis and has expanded to a full service medical center including LGBTQ+ health care, counseling and HIV prevention. Bob’s list of advocacy work includes: Founding member of the Gay Hot Line; board member of ASAP; one of the Founders of Metro Wellness Center; served as President of Tampa Bay Arts, the umbrella organization for the Gay Men’s Chorus, Crescendo, the Gay Women’s Chorus, and the Tampa Bay International Gay and Lesbian Film Festival; Served for eleven years on the King of Peace MCC Board; 1971 graduate of Stetson University College of Law, where he served as President of Student Government, and has practiced law in Pinellas and Hillsborough for over 47 years. Bob and his husband Lawrence Konrad, have been together for almost 55 years and live in St. Petersburg. SueZie and Cheryl Hawkes met in 1997 and fell in love. For the love of Cheryl, SueZie gave up all she had and knew in England to be with her in the USA. They married in 2000 as husband and wife. SueZie spent the following years still struggling with her gender identity and Cheryl was her only confide. By early 2014, they couldn’t continue living in the public’s perception of husband and wife. They chose to pursue transitioning and leading a positive life. Those first steps, humiliation and psychological pain was something both of them felt no one should have to endure. SueZie and Cheryl decided to educate the world by going public in a grand scale, they let reporters document and film some of the transition including the operating room. The story of SueZie’s boldness together with Cheryl’s unwavering passion and love captured the media’s attention around the world. One news story was nominated for an EMMY. Since 2015 Suezie and Cheryl have written extensively for workplace and public LGBT publications. They have spoken at numerous different companies, public events and conferences, including a full house of 340 attendees from the Fortune 500 companies in Atlanta. 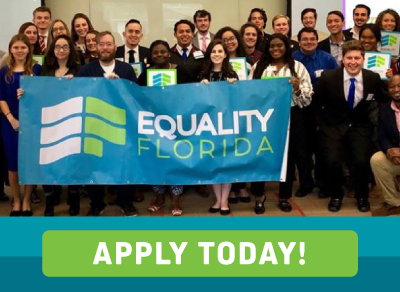 Other voluntary activities include positions with Equality Florida as a Transaction Advisory Council Member, Tampa Bay Diversity Chamber Of Commerce as Board Member as the bylaws Committee Chair; Greater Tampa Bay Out & Equal as Communications Chair. For the past several years, Dr. Howell has worked to create a safe space in Tampa for LGBT individuals in need of mental health services. Over the past two years, Dr. Howell has provided free group therapy to transgender and gender diverse youth as well as their parents. As an openly gay psychologist, educator, and LGBT expert, Dr. Howell strives to shed light on bullying, suicide, and homophobia when possible. He expanded his practice, the Center for Psychological Growth, in Tampa to make an even larger presence in the LGBT community and has begun the final stages of setting up a non-profit, Institute for LGBT Health and Wellbeing, with an emphasis on training, education, and LGBT research regarding health, wellness, and healthcare disparities. The ultimate goal of the nonprofit is to create a summer camp for LGBT youth and serve as a conduit for social change and a youth center open 365 days/year. He spoke before the Tampa City Council on the need for banning “conversion therapy” for LGBT minors. He also provided pro bono services to survivors of the Pulse nightclub shooting. He takes a team of graduate students and psychologists each year to ride in the SmartRide to support HIV/AIDS services in Florida. They ride 165 miles from Miami to Key West each November, and 100% of the monies raised goes back to Florida HIV/AIDS organizations. He truly lives his life according to his favorite quote: “Be the Change You Wish to See in the World” – Gandhi. Dr. Dunlap is the Executive Director and Co-Founder of Your Real Stories, Inc. a local non-profit that received Creative Loafing ‘s Best of the Bay Award for “The Best Mix of Storytelling, Theatre and Activism” for their production of “Out of the Shadows: The LGBTQ Homeless Youth Project” in collaboration with Family Resources and Planning Works. Dr. Dunlap’s diversity training firm, Communication Research Enterprises, Inc., has trained journalists and professors of journalism in newsrooms and classrooms across four continents, including 30+ US colleges and universities and journalists in South Africa, Southeast Asia, Serbia, and the University of Central Lancashire. Dr. Dunlap led the diversity initiative of the City of St Petersburg by training 2500 employees on matters of race, gender, sexual orientation, and generations, which culminated in a series of Your Real Stories productions called “This is My City: St Pete Stories” that included LGBTQ stories and later won international recognition for engaging the community in conversations about and across difference. Dr. Dunlap is a member of King of Peace, MCC, where she has presented diversity seminars to assist the congregation in embracing the diversity of LGBTQ. She is also a member of the Lesbian and Gay Chamber of Commerce. Dr. Dunlap and Your Real Stories produced “Tales of Transformation,” a theatrical performance on the life of Miss Florida and international performer, Heather Fontaine, at the American Stage Theatre. As a proud, gay, eight-year Air Force Veteran, Matt considers it an absolute honor to serve LGBT Veterans and their families throughout the state of Florida as a Federal employee for the Department of Veterans Affairs Regional Office in St. Petersburg. In 2012, Matt joined the Regional Office’s Lesbian, Gay, Bisexual and Transgender Special Emphasis Program. (SEP) He works to ensure LGBT Veterans, who may not have been previously eligible for benefits, are provided an opportunity to requalify and know they will be treated equally and honorably. In September 2011, Matt developed an outreach program to educate LBGT veterans affected by the repeal of Don’t Ask, Don’t Tell policies on how to request “case-by-case” discharge upgrades. Matt has renewed one of the LGBT SEP committee’s focus to educate and advocate for gay veterans to affirm their honorable military service. With the aging veteran population, he works with many vets whose dream is to be buried with honor and dignity in a national cemetery. Matt and his husband, Carlos, reside in St. Petersburg, and enjoy spending quality time with their three children and grandchild. For 14 years Ms. Miller has served as the Executive Director for the Heart Gallery of Tampa Bay which finds adoptive families for the most at-risk youth in our community. During her time with the Heart Gallery Jesse and her partner have mentored several LGBTQ foster youth. Under her leadership, the Heart Gallery of Tampa Bay was named Non-Profit of the Year by WEDU and Ms. Miller was awarded Tampa Bay Business Journal’s Business Woman of the Year and inducted into the Up & Comer Hall of Fame. She was a volunteer crisis counselor for the Lambert House Project providing shelter and counseling for homeless LGBTQ youth in the Pacific Northwest, and has volunteered with the Tampa AIDS Network, Equality Florida and the Tampa International Gay & Lesbian Film Festival. 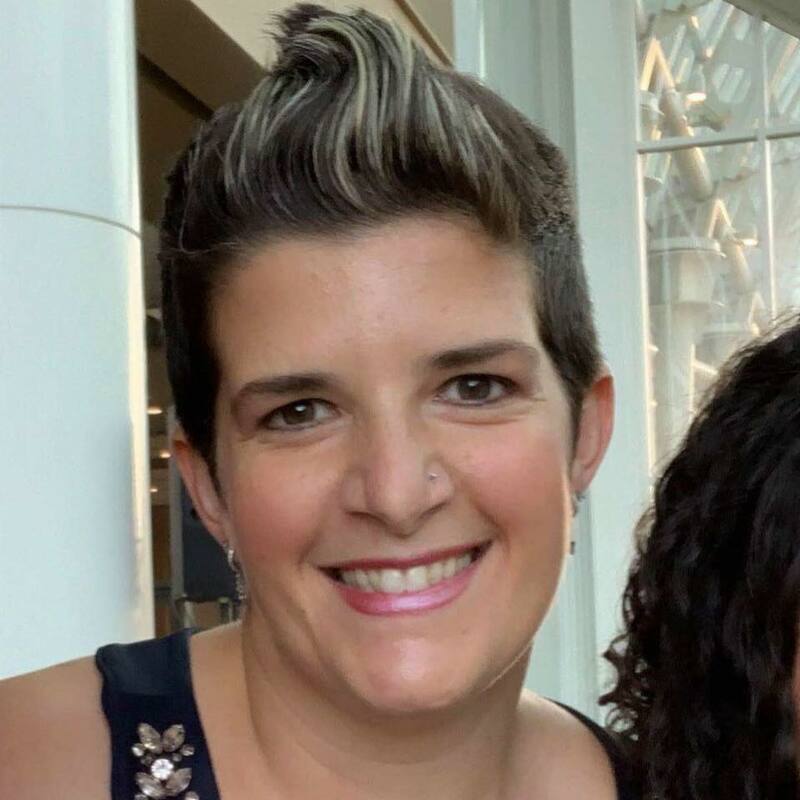 Ms. Miller is a founding board member of Girls Rock St. Pete, a “safe-space” camp with fosters confidence and mentorship for young women and girls of St. Petersburg through music education, social justice, and self-expression. Ms. Miller is a published author, photographer and is active on several boards and committees which bring dignity to our community’s marginalized populations focusing on youth empowerment, LGBTQ issues as well as animal advocacy and the environment. 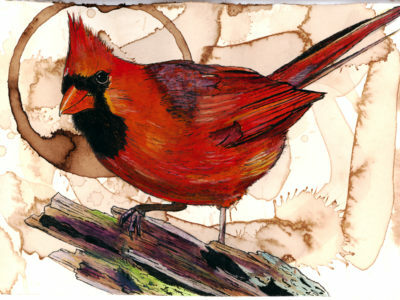 She lives in St. Petersburg, FL with her partner, Kelly, and their grumpy cat, Bob. King of Peace MCC has been a part of the Saint Petersburg community for over 40 years. Some of our achievements include: forming the first HIV/AIDS support group in Pinellas County in 1984, which in 1992 became a separate entity: Metro Wellness and Community Centers; in 1987 we purchased the first property owned by a LGBTQ+ organization in St. Petersburg; and in 2013 received the distinction of being one of the first congregations in MCC to receive status as a Transformative Congregation. King of Peace MCC continues to provide radical welcome, vibrant worship and a place where everyone is invited to celebrate who they are as we worship the God who created us. No matter where one may be, Out of the Closet Thrift Stores play an integral part in its community’s daily life, and the OTC in St. Pete is no exception. In addition to being a thrift store where you can donate and buy unique and fashionable pieces, OTC offers a full-service pharmacy and free HIV Testing for all who come in. Founded by the AIDS Healthcare Foundation, 96 cents out of every dollar that is spent at the store goes back to treating those living with HIV/AIDS and AHF’s mission of treating anyone who walks in their doors, regardless of ability to pay. This mission is made possible in-part by the work of Out of the Closet, and OTC continues in that same tradition of always having it’s doors open for all who may need any of the services inside. Click here to vote for this year’s St. Pete Pride Grand Marshall.